Canaryfly, S.L. (IATA : PM, ICAO : CNF) is a Spanish airline based in Gran Canaria, Spain establish a new route between Tenerife and Lanzarote from October seven weekly flights will connect both islands from 28.56 euros per way. Air connections are made on Thursdays, Fridays and Sundays on flights of 50 minutes. 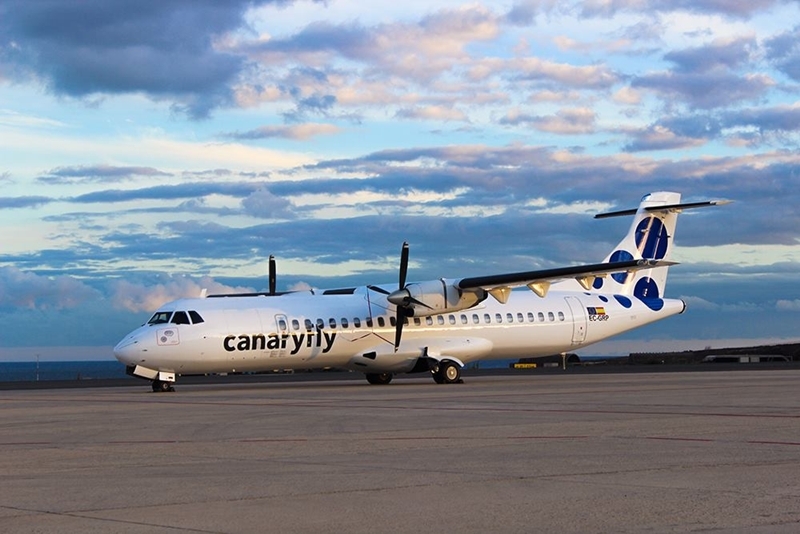 Aso has explained this Thursday the director of the Commercial Department Canaryfly, Carli Monzón, adding that “our goal has always been that all canaries can fly between islands at a fair price, so we are very pleased that from October 2016 good prices reach Canaryfly to a route that until our entrance was the one with the most expensive tickets in the Canary Islands “. The launch of this route “is the answer to many requests it has received the airline by passengers and travel agencies,” so that “we hope to generate interest in order to increase soon frequencies of this new route, in the future, can also directly connect Tenerife to Fuerteventura ” said Monzón. Specifically, Thursdays and Fridays, flights depart from North Tenerife airport bound for Lanzarote at 15:00 and depart from the airport Tenerife island at 16:15. On Sunday afternoon, two flights of Canaryfly make the journey from Lanzarote to Tenerife, at 19:00 and at 21:30. Passengers wishing to travel from Tenerife to Lanzarote on Sunday may do so on the plane that takes off at 20:15.